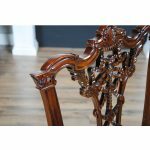 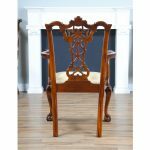 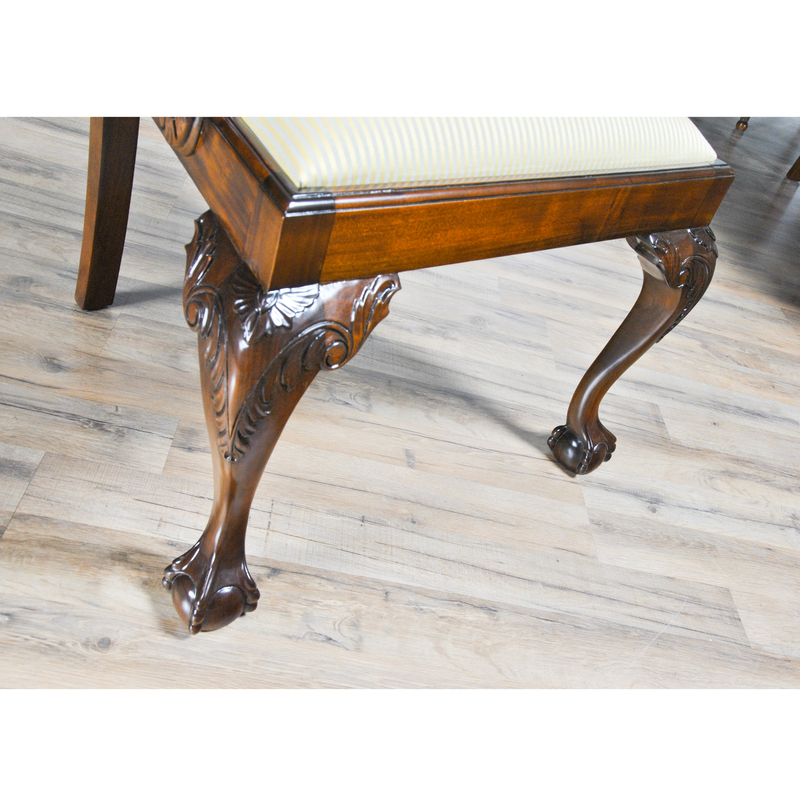 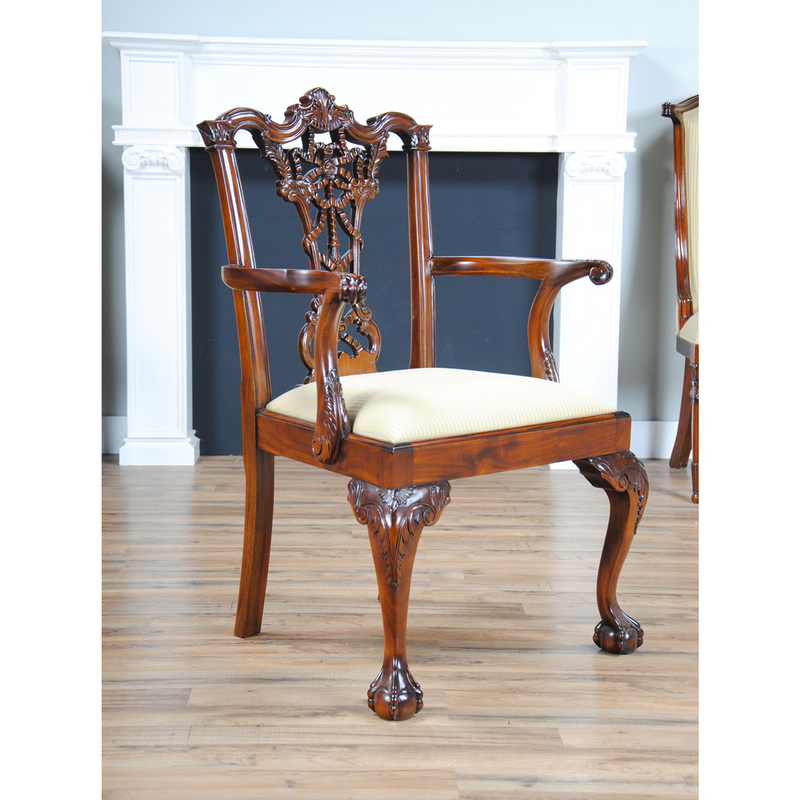 The Carved Mahogany Chippendale Arm Chair from Niagara Furniture. 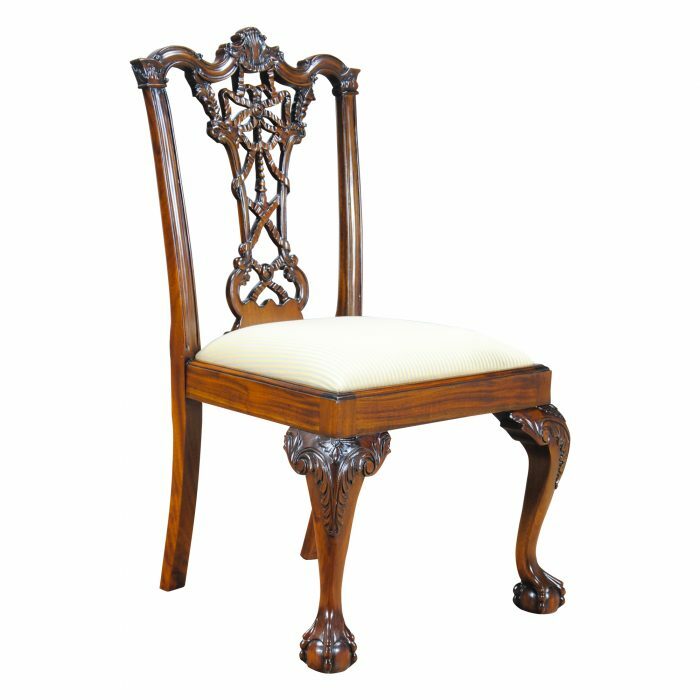 These high quality dining chairs are hand carved from kiln dried, plantation grown solid mahogany. 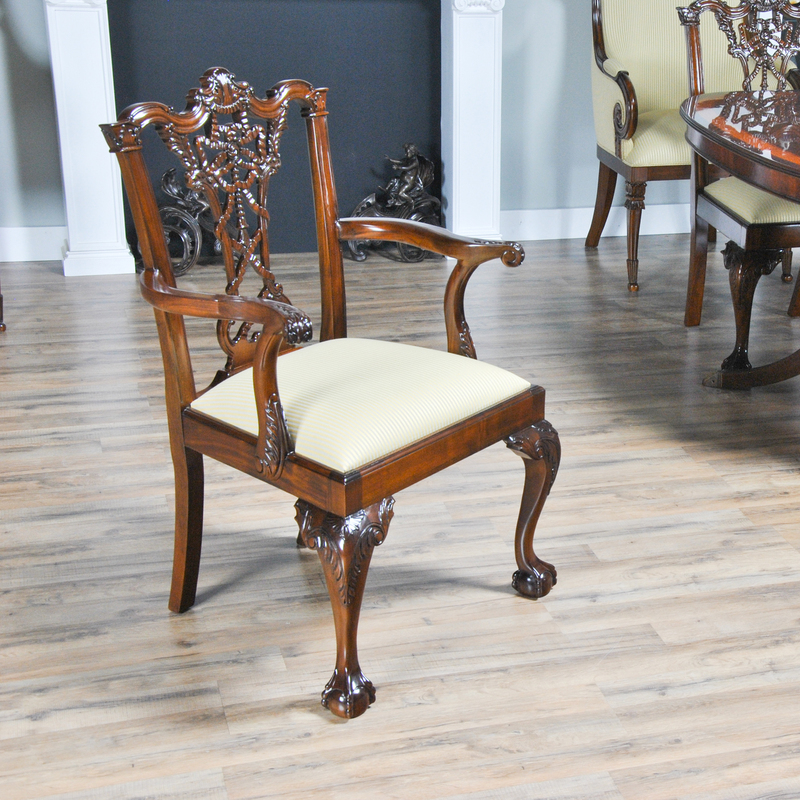 Our most ornate set of dining chairs they are finished beautifully in a rich, warm brown tone and ready to be used in your home today with our most popular neutral fabric. 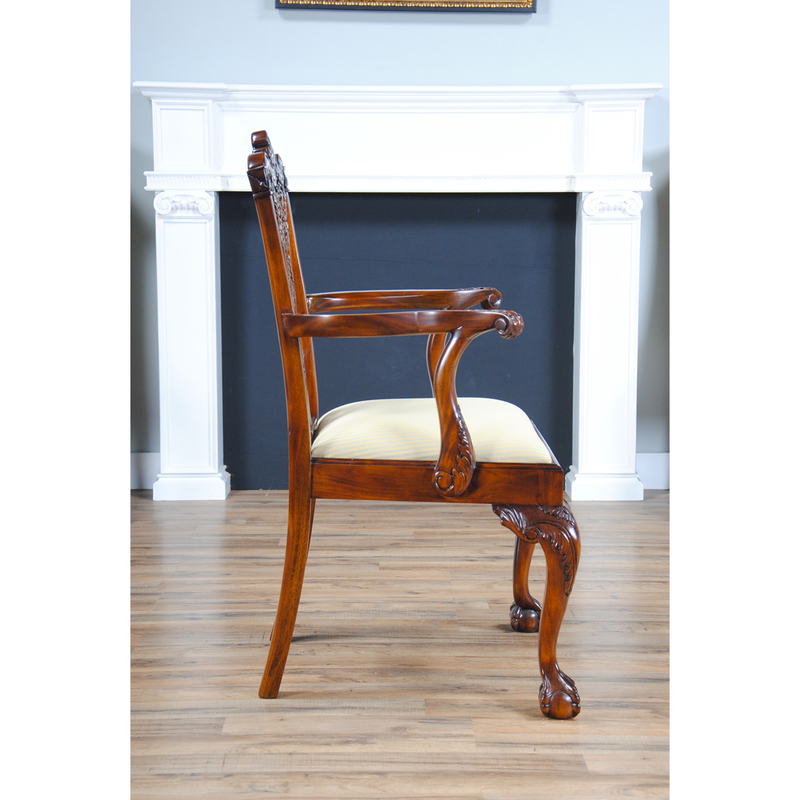 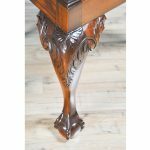 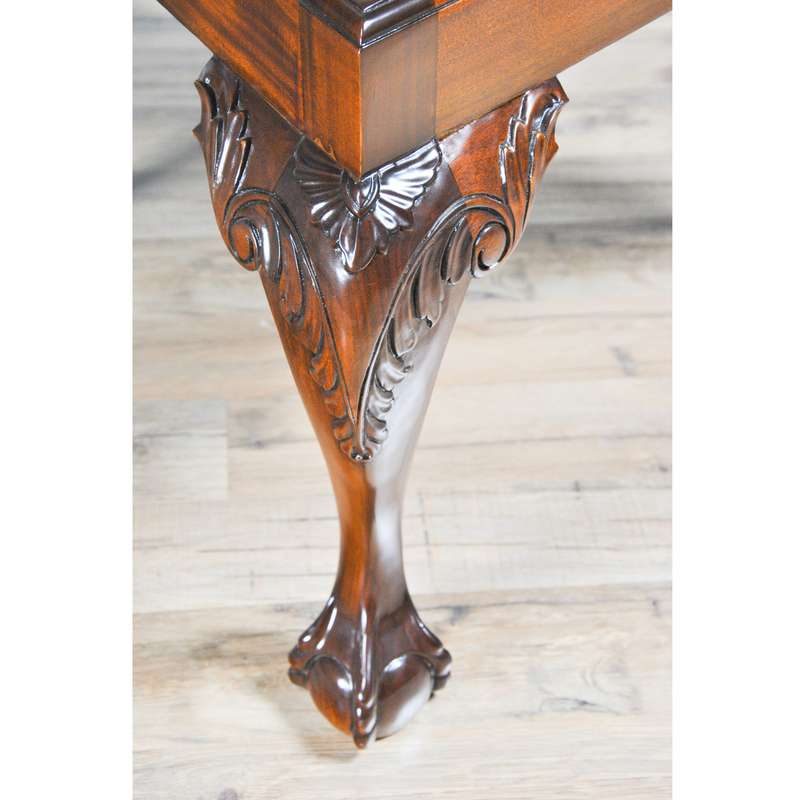 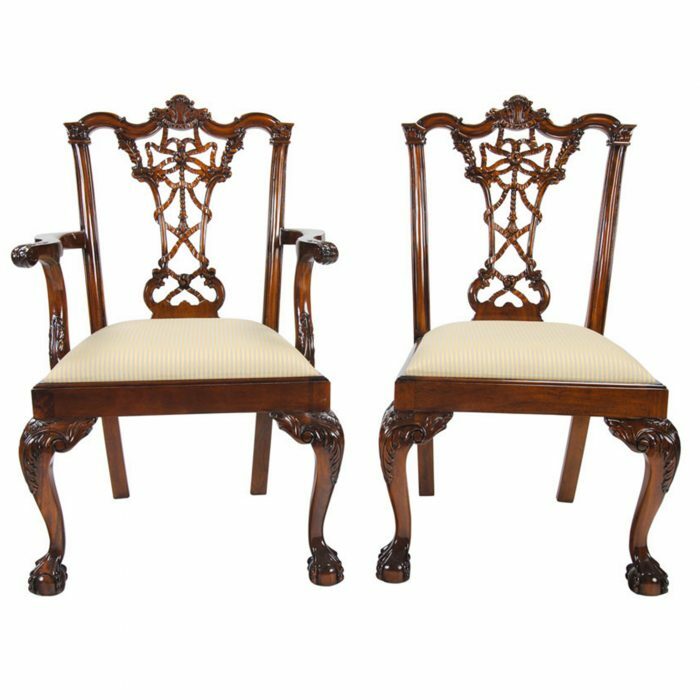 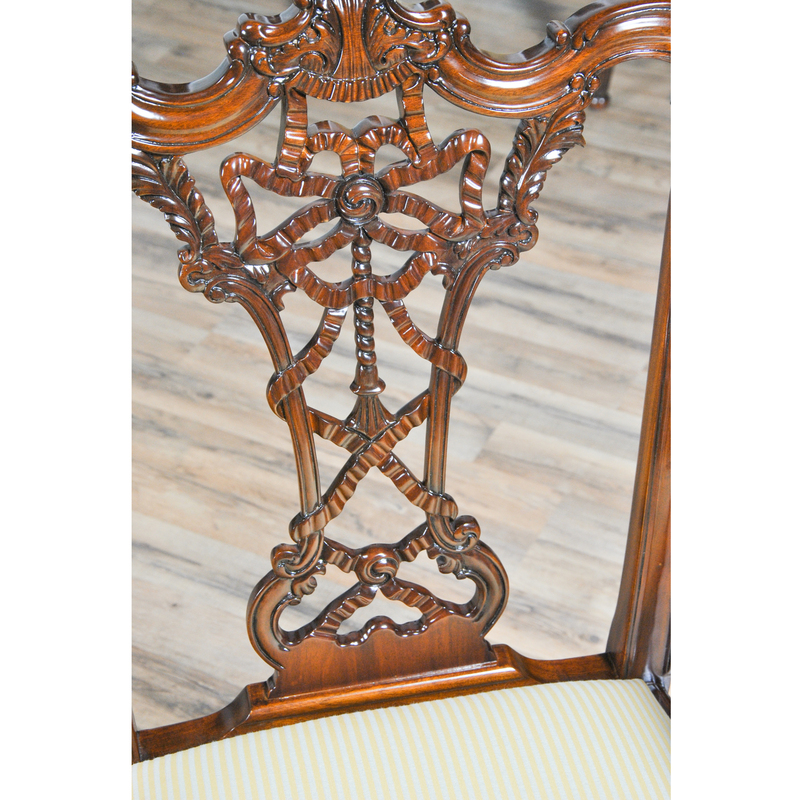 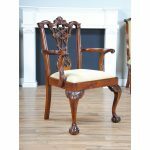 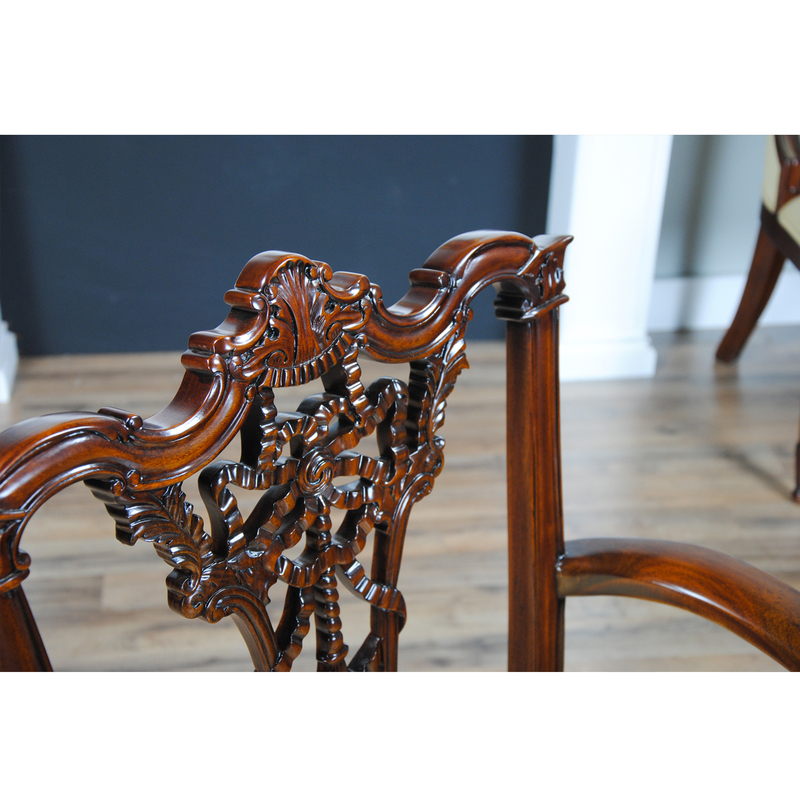 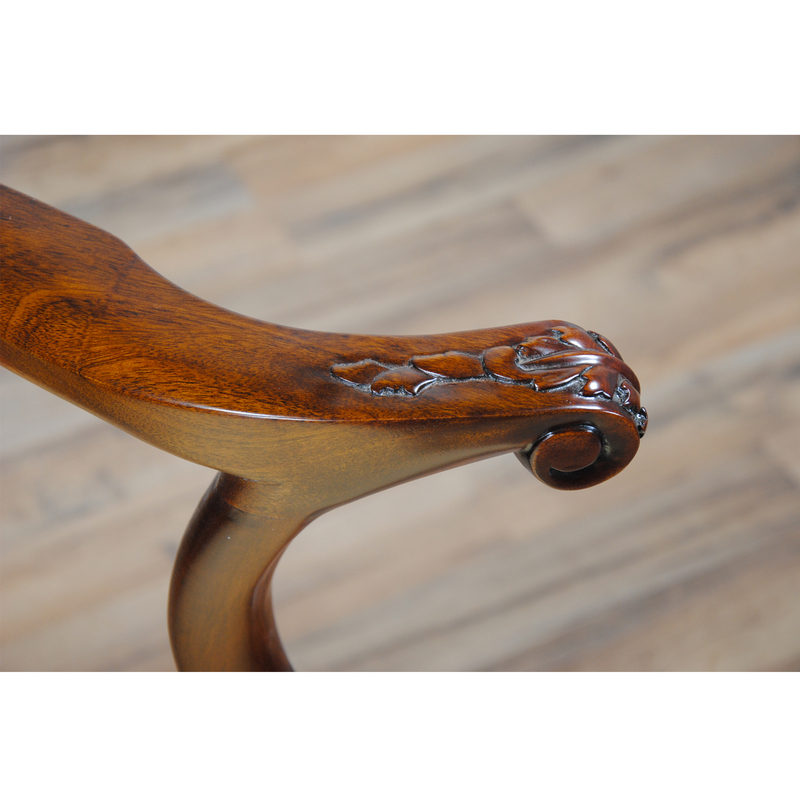 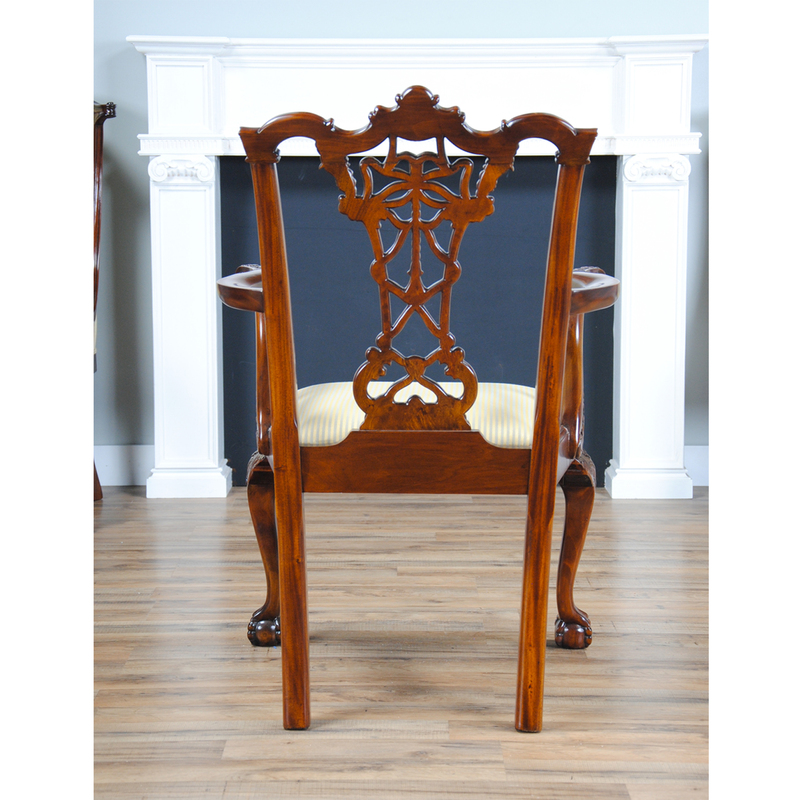 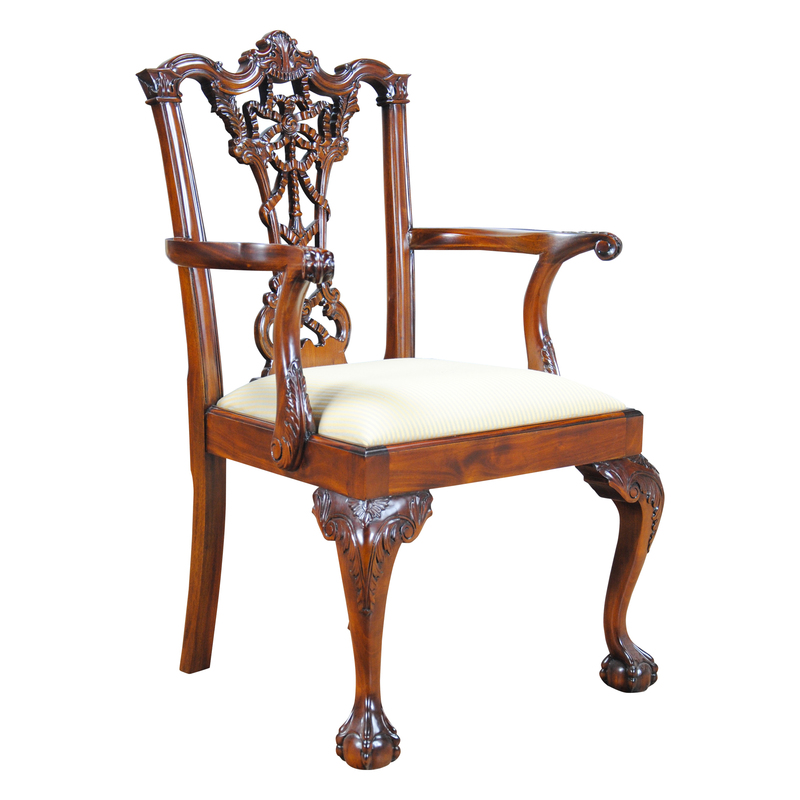 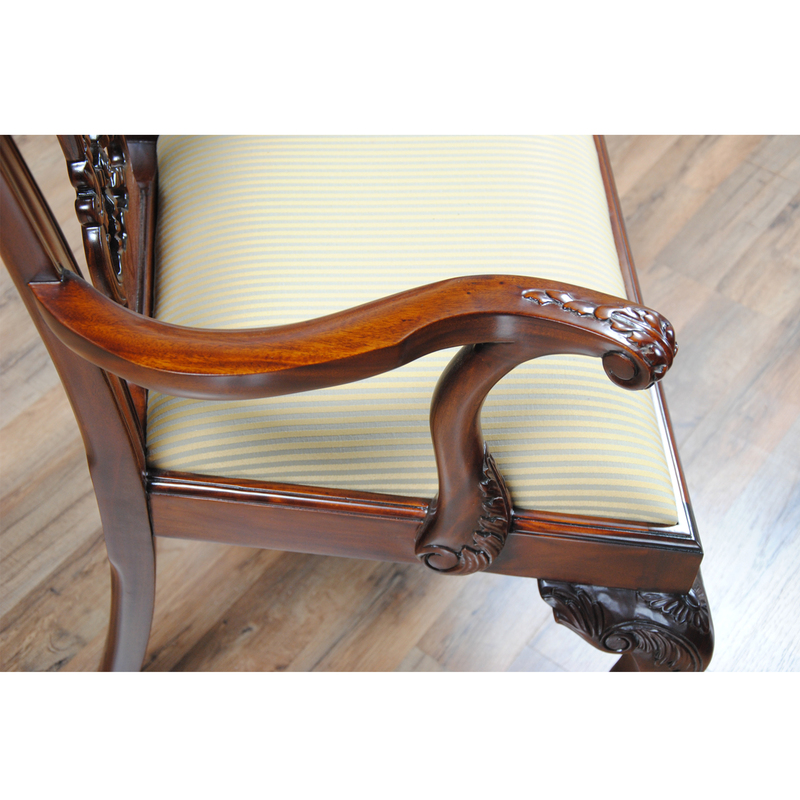 The Carved Mahogany Chippendale Arm Chair features ribbon and foliate carvings, exaggerated ears on the ends of the crest rails, curved and scrolled arms, acanthus ball and claw feet are available for a very reasonable price.